The Volatility in State Spending for Higher Education conference will explore the impact of unpredictable state support on various stakeholder groups, including students and postsecondary institutions. CHAMPAIGN, Ill. — The impact of unpredictable state funding on students and postsecondary institutions will be the focus of an upcoming conference at the University of Illinois. 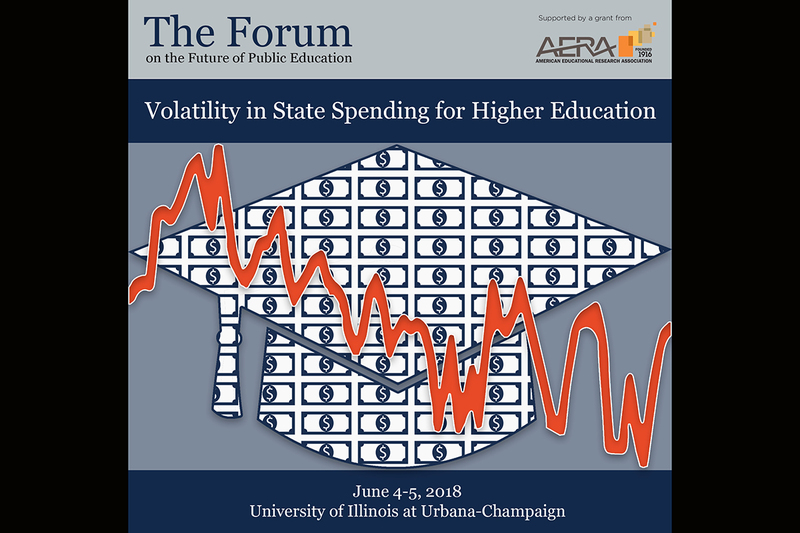 The Volatility in State Spending for Higher Education conference will be held June 4-5 at the I-Hotel and Conference Center, 1900 S. First St., Champaign. 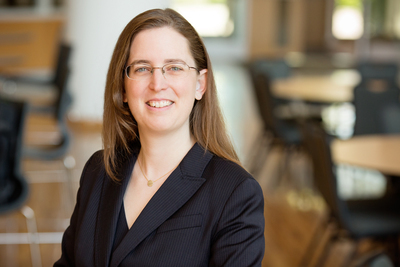 Higher education expert Jennifer Delaney is the conference organizer, a professor of education and the director of the Forum on the Future of Public Education at the U. of I. Experts on higher education finance and researchers from various universities and organizations such as Pew Charitable Trusts, the American Association of State Colleges and Universities, and the Illinois Board of Higher Education will examine the implications of unpredictable state funding for student completion rates, faculty hiring and research productivity. 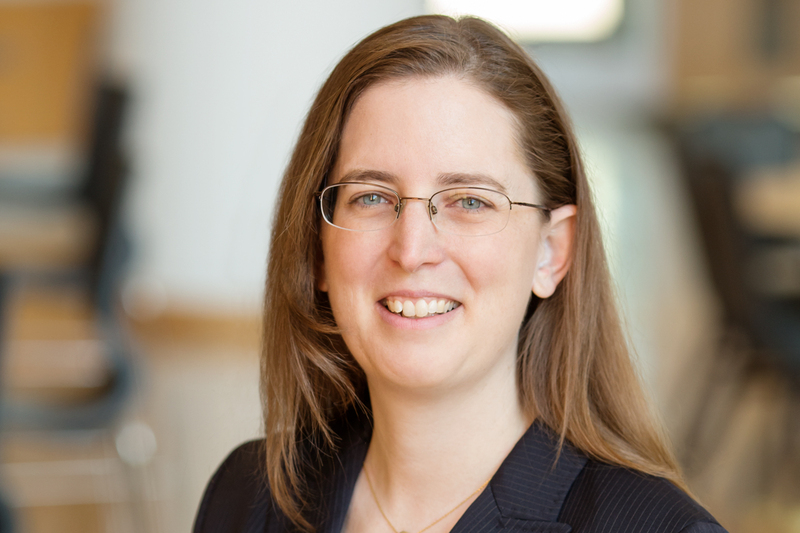 Organized around five overarching research questions, the conference will showcase 12 new pieces of scholarship by a variety of researchers, said Jennifer A. Delaney, a professor of higher education at the U. of I. and the conference organizer. 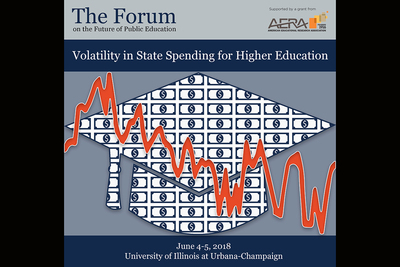 “In an era of intense concern about higher education affordability, I am delighted to bring together leading scholars to share new, original scholarship on volatility in state support for higher education,” said Delaney, also the director of the Forum on the Future of Public Education at the U. of I.
Keynote speakers will be Al Bowman, IBHE’s executive director; and William Zumeta, a professor of public policy and governance and of higher education at the University of Washington, Seattle. The impact of declining state funding on stakeholders such as students and colleges in Illinois will be the focus of a panel discussion on the second day of the conferences. Panelists will be Illinois Sen. Pat McGuire, chair of the Higher Education Committee; Elaine Maimon, president of Governors State University; and Eric Zarnikow, executive director of the Illinois Student Assistance Commission. Delaney will serve as moderator. Conference funding was provided by an Education Research Conference Program grant from the American Educational Research Association and by the Forum on the Future of Public Education, with additional support from the O’Leary Endowment at the U. of I. The conference is free and open to the public; however, participants should pre-register on the event’s website.